In 1985, after a quadruple heart-bypass operation, Bud left CJRT and began a full-time freelance phase of his media career. Projects included writing assignments for magazines and newspapers, voicing CD productions for industrial companies, and writing and voicing news reports for government agencies and private company public relations departments. 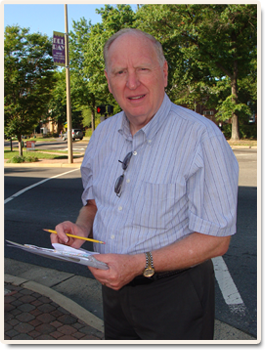 He also began teaching English and media analysis in the Community College system. Rogers TV: The Innis and Riley report continued in its Friday night spot. Rogers producers, Don Adams and Madaline Ziniac, also used Bud's hosting services on several public affairs programmes including one on the history of Toronto. Bud was the host of the weekly broadcasts of both the Empire Club and Canadian Club speaches. He also wrote and hosted a half-hour TV documentary on great Canadian inventions, "Canada, Eh?" and spun that off into a Toronto Star newspaper feature article titled "Canadian Inventions that Changed the World." Click here to read Bud's Toronto Star articles. Having some experience with Egyptology from his graduate school study (Master's Degree in archaeology) at U of T) Bud was asked by Tour and Travel Magazine to do a feature article to coincide with the visit of the King Tut exhibit to Toronto.to Industrial Chemist Magazine in New York assigned Bud to interview four Canadian Nobel Prize-winning chemists and provide a first-person account of their work. The Wellesley Hospital Foundation in Toronto commissioned Bud to create a syndicated radio report featuring Wellesley doctors, technicians and other health professionals and their foundation-funded research. He created, wrote, produced and performed on "The Health Line". He is also the author of a widely quoted paper on Telephonic Lecturing published by the Canadian Journal of Communications Vol 6, No. 3, 1980. 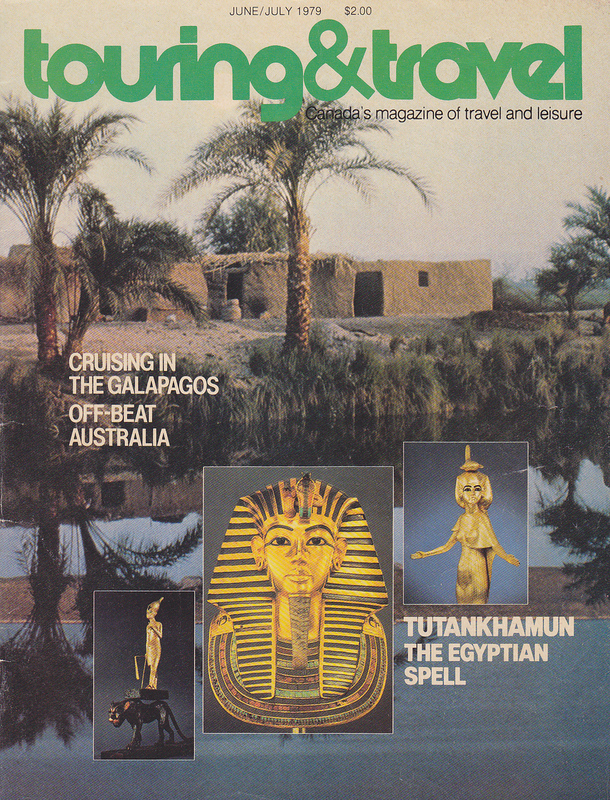 ​ Click here for a David Turnbull articles from the Sept. 1988 and Oct.1984 PHOTO LIFE MAGAZINE. Finally, in 2001, Bud retired. . . . sort of. In 1988, Bud was approached by Canada's leading business newspaper to prepare and read hourly business reports for the FP radio service which fed business news to more than 45 Canadian radio stations across the country. In 1991, the publisher cancelled the service and Bud was asked to stay on to close down the operation. When that was done he was hired on a one-year contract as a writer for FP On-Line. Video and Audio clips from www.rockradioscrcapbook.com and private collections of Doug Thompson, CHUM Archives, Charlie Ritenberg, Bill Dullmage, Bud Riley, Westlyn Mather, Don Shuttleworth and others. 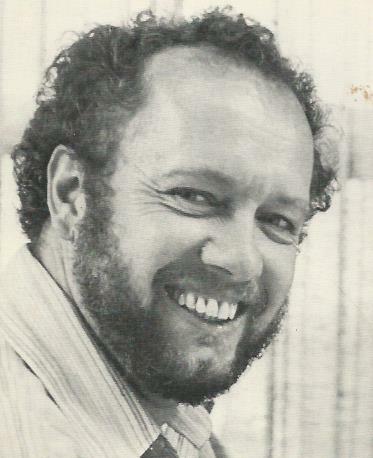 Tempo Productions, a media company owned by newspaperman Cal Millar, hired Bud to appear on filmed TV news reports on energy issues (for Atomic Energy Canada, for example). 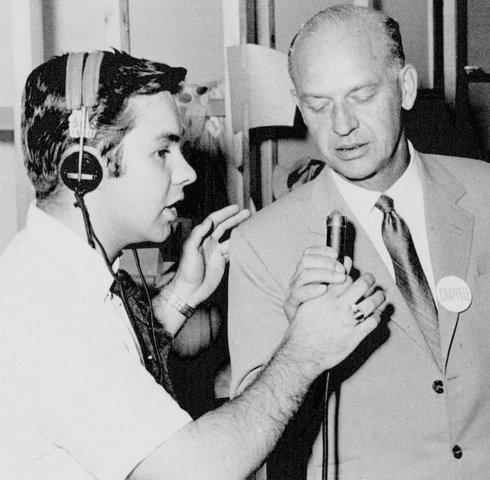 He also directed public relations productions for a variety of commercial enterprises including Thompson Manufacturing in St. Catharines and hired Bud Riley to narrate them. Sandy Stewart, TV roducer ("Razzle Dazzle" "The Friendly Giant" and "Reach For the Top"
Occasionally, Bud was approached by industrial companies to create public relations projects for their sales or personnel departments. Leeson Motors in Toronto was only one of those that used Bud's voice and writing skills. On the day of his death, Colin was recognized in the Ontario Legislature. June 25, 1968. Peel South Riding. Federal election. Liberals won a majority. ​David, a high school student, interviewedHyliard Chappel live on CHIC Radio on election night. 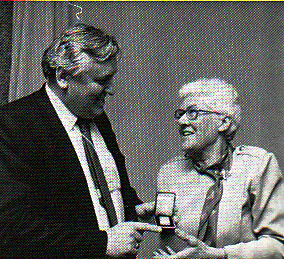 Between 1988 and 1992, Hanna Pilar the Manager of public relations for the Association of Professional Engineers of Ontario commissioned Bud to write articles about the association's annual award winning engineers. These 600 word stories were used for press releases and printed programmes at the awards dinner. Bud interviewed the eight recipients each year to gather information for the project. 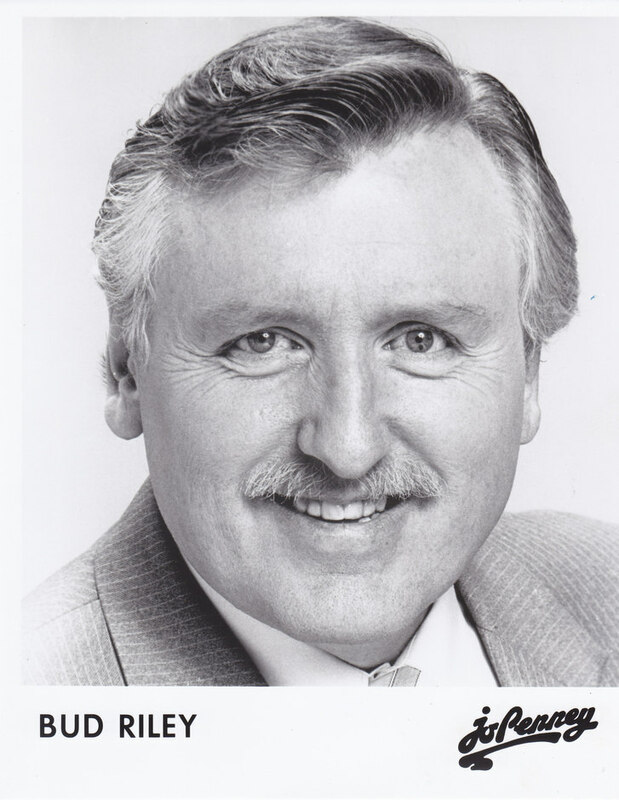 Between 1986 and 1990, Bud was called on to narrate a variety of religious broadcasting projects for The United Church of Canada. Some projects, produced at the Berkeley Studios in Toronto, were for radio and others for TV. 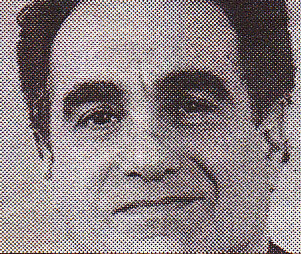 "The Church in the Soviet Union" was one such programme recorded in 1987 that involved narration for a film strip. Another taping was for "The Godshow", a syndicated religious radio programme. 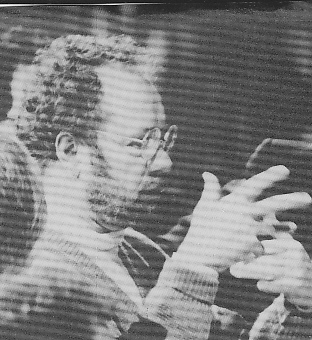 Twice during 1990, TV producer Caroline Gray commissioned Bud to do voice-overs for a Cable TV show titled "The Spirit Connection." Paul Speck, a friend and a respected educator was occasionally a contributor to Bud's Public Affairs broadcasts on CJRT-FM. In 1992, he hired Bud to teach English to all grades at Speck's Annex Village Campus, a prestigious private high school in central Toronto. 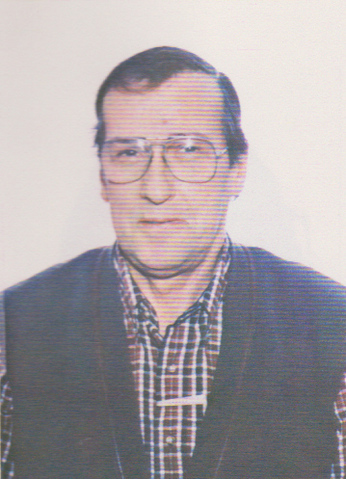 Paul Speck was educated by the Roman Catholic Basilian teaching order at Assumption College, Windsor University (B.A. English) and St. Michael’s College, University of Toronto (graduate degree in Sacred Theology). 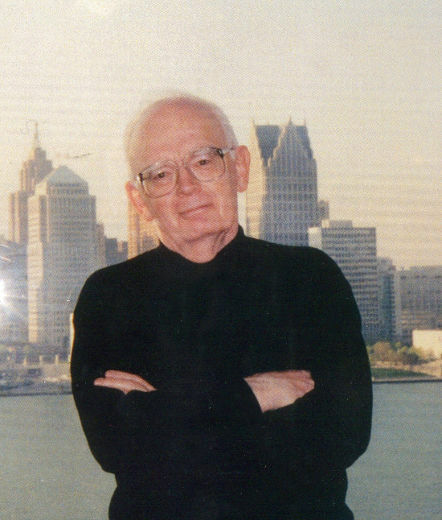 He was ordained a priest and taught at Michael Power and St. Michael's high schools in Toronto. After leaving the priesthood, he moved to New York to study at Fordham University (M.A. English). He subsequently married. At heart a high school teacher, he discontinued Ph.D. studies at Drew University in Madison, N.J., and returned to Toronto to become a department head and teach in the Public system. Paul and and his wife Bobbi eventually founded their own highly successful Annex Village Campus, which ran from 1972 until his death in 1993. Paul brought his considerable intellect and teaching exprience to the task creating a school which featured a seminar approach to curriculum in very small classes, engaging the students in challenging discussion. (see more on Speck's teaching philosophy. In 1982 Paul and Bobbi purchased from his cousins 200 acres of land which had been in the family since 1794. He turned his immense energy to transforming the farm and vineyards into an award-winning Niagara Peninsula winery, Henry of Pelham, named after his original ancestor. The first harvest was in 1988. When Paul died in 1993, Bobbi shared ownership of the winery with her sons, Paul, Matthew and Daniel who had planted the first sixty-five acres in the early 1980s when they were young students and culltivated the land throughout their university years. The sons were given complete control of the management and developed Henry of Pelham through its fledgling stages to become one of Canada's premier wineries. 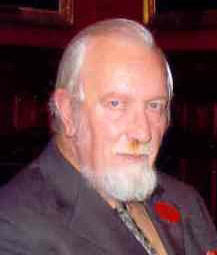 In 1990, Bud began teaching at Ryerson, Centennial College, Humber College and Seneca College in Toronto. 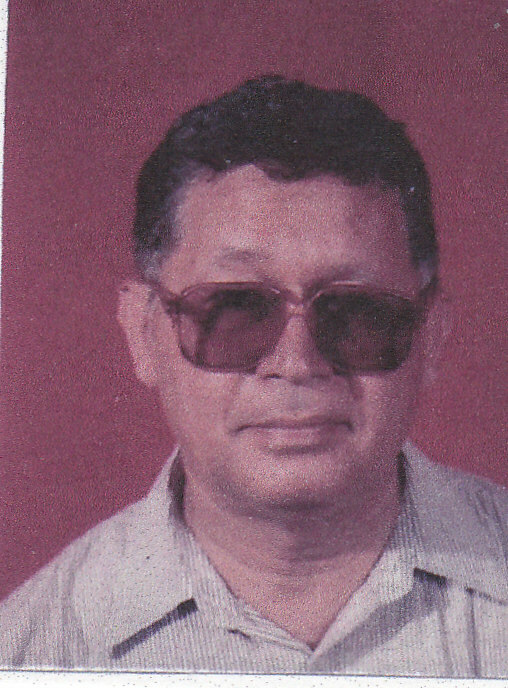 His courses were English literature, business writing, presentation skills and media analysis. This was not the first experience Bud had with classroom work: in 1983, during his years at CJRT-FM, he was asked by archaeologist Mima Kapches, a former U of T school mate and now a curator at the Royal Ontario Museum, to take over her Ryerson Continuing Education course, Old Bones and Stones. Bud eagerly agreed and constructed his own archaeology course titled Old Bones and Sharpened Stones. 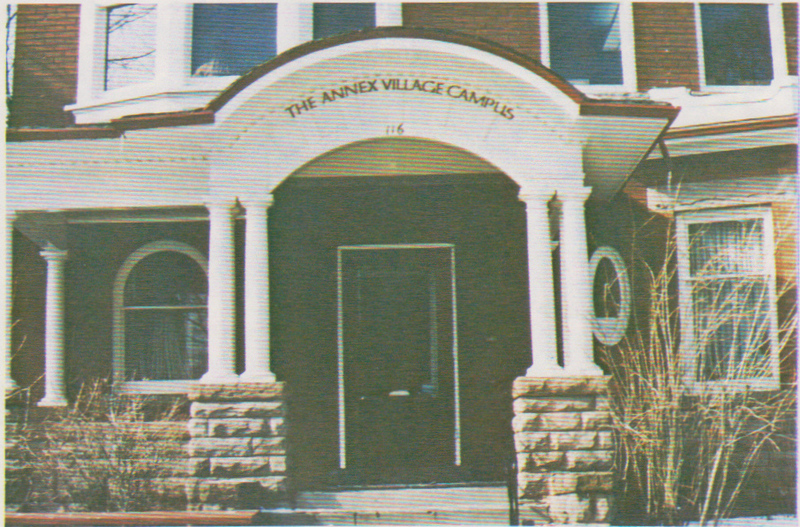 In the spring of 1993, Bud created the Annex Village Review, an internal publication of student writings. The review was a hit with his English classes as students began offering their own poems and fictional items without prodding. Click here to see a sample. ​Bud generated and filed several stories for The Arts Report which re-united him with producer Ed Trapunsky with whom he worked at CJRT-FM when Ed was a producer for CJRT's Open College. Today, Ed is the author of several books and is a popular events speaker. Bud's reports also re-connected him with a friend, writer Tom York and his U of T Archaeology professor Cayler Young. In the 90s, after his tenure at the Canadian Science Writers Assoc., Bud recruited Sandy Stewart to start a project to create a museum and archive dedicated to preserving the history and heritage of Canadian broadcasting. 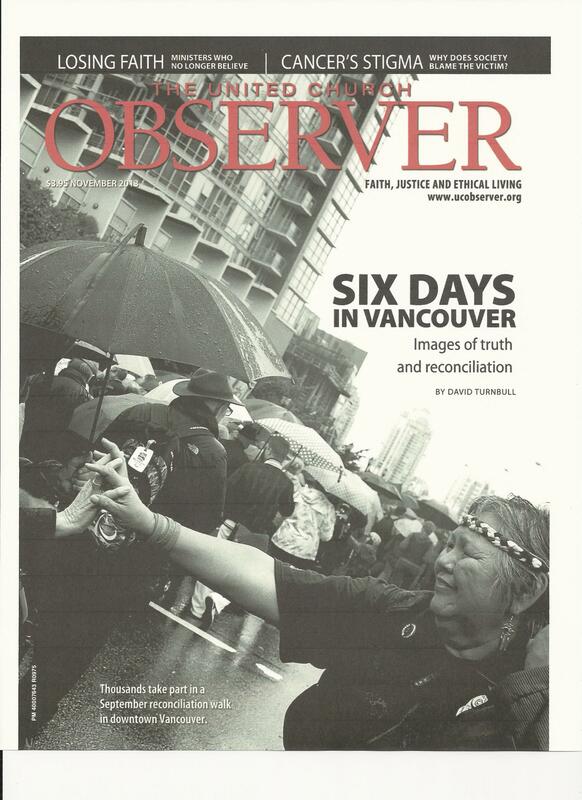 More on the Canadian Museum and Archive project. Darryl's article Who were the three Wise Men? One of the many special reports filed by Bud to RCI was a 10-minute documentary on Reginald Fessenden, the inventor of AM radio and whose voice was the first transmitted through the air without wires. The CBC domestic service opted to air the programme several times. For the main CBC network Bud created many reports for InfoTape an internal service created to augment topical content for network stations across the country. The Food Show was a CBC programme broadcast from Western Canada. Bud filed a report to the show when he ran across an innovative business idea that dealt with making salt cod more convenient by packaging the fish in a can. In 1968, Bud was a sculpture student at the Ontario College of Art in Toronto. He was always on the search for stories that matched this interest so when the CBC Northern Service suggested he survey the subject of Inuit Art in the Toronto scene he was eager to do it. Voice of America: While working at CBC, the American short wave service VOA recruited Bud to be their Canadian corespondent. The assignment required several items on the introduction of Canada's goods and services tax (GST) and the failed Meech Lake accord. 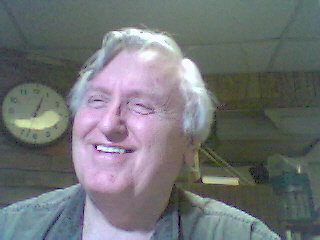 Bud produced several reports per month on topical Canadian stories and issues. Hear Bud Riley's CBC Food Show report on canned salt cod. Alec enjoyed reporting on all forms of sports but his personal passion and pastime was tennis. As President of the Canadian Science Writers Association (CSWA) Bud presided over a blue ribbon panel of association directors including Sandy Stewart, Jeff Crelinsten, Russ McNeil, Bob Collins, Marilyn Dunlop (Toronto Star), Bruce Findlay, Ken Day, George Truss, Joan Hollobon, Chris Trump, Hugh Quetton, June Engel, Jim Steinhart, Jack Miller (Toronto Star) and Susan Boyd. Jack Miller was the senior science writer on Bud Riley's CSWA board of directors. Jack's career started at the Welland Tribune (1945- 1953 and continued with the Hamilton Spectator (1953-1971). He joined the writing staff at the Toronto Star as an award-winning science reporter until his retirement in 1995. 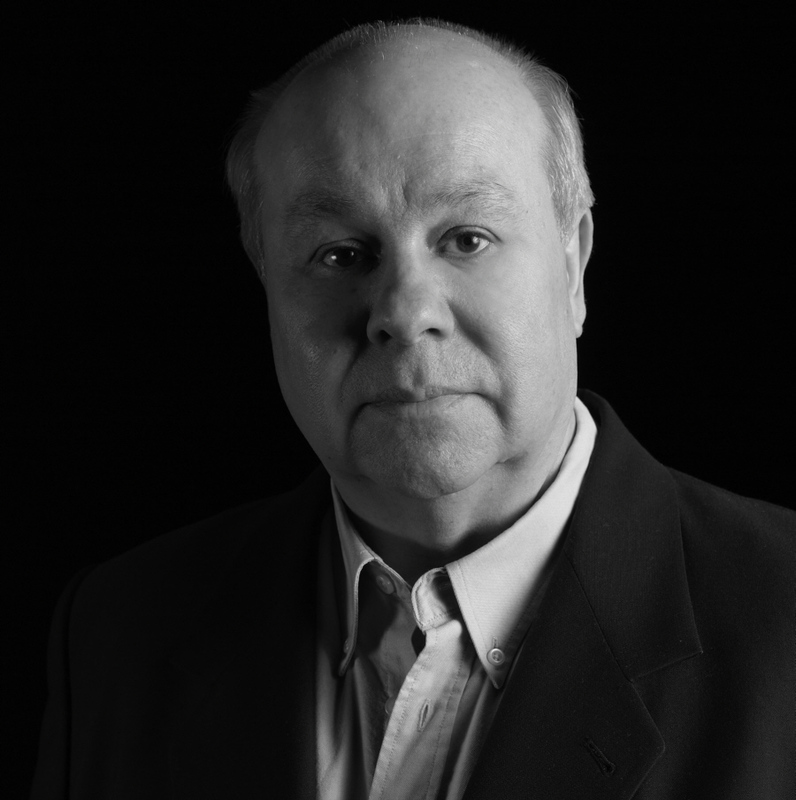 In 1991, Jack devoted himself to teaching journalism at Niagara College while still working at the Star. Jack died in Port Colborne, Ontario, on October 9, 2013. 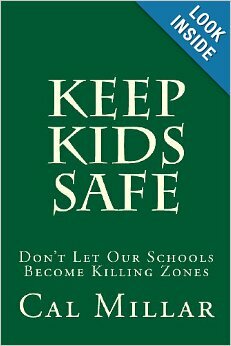 This book provides an explanation of Crime Stoppers and tells how programs operate around the world. 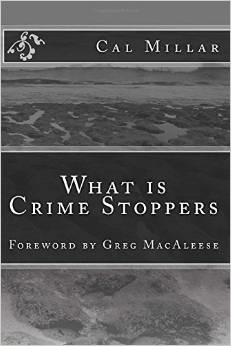 Created in 1976 by Greg MacAleese, an Albuquerque, New Mexico detective, to solve the slaying of a 19-year-old college student, the concept has grown to a global network of independent Crime Stoppers programs dedicated to improving security in communities and keeping streets safe. See a note on Cal's future project. The following is a VOA report on Canada-Soviet relations after Canada ousted 19 Soviet diplomats and five Canadians were deported from the Canadian embassy staff in Moscow. Russ McNeil was the treasurer for the Science Writers. In the early 70s he was a York University studet working on the development of the first lidar system designed for terrestrial atmospheric research. Many years later, it was fully developed and sent on its way to Mars aboard NASA's Phoenix Mars Lander. Today, Russ is a retired Malaspina University-College Physics professor in B.C. Russ McNeil has just written his first book, The Meditations of Marcus Aurelius: Selections Annoted & Explained, reflecting on his many years in Physics and Liberal Studies at Malaspina. 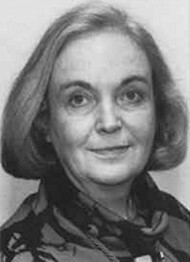 Dr. June Engle was one of the founding members of the Canadian Science Writers Association. She was a biochemist who earned her PhD from University College in London, England. Her career in science led her to making scientific TV shows. Emigrating to Canada in 1965, she began working for CBC and the National Film Board. For more than 20 years, she edited the University of Toronto Health News and wrote many magazine articles on health. 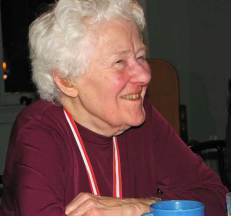 June Engle died on March 11, 2012 in Toronto. 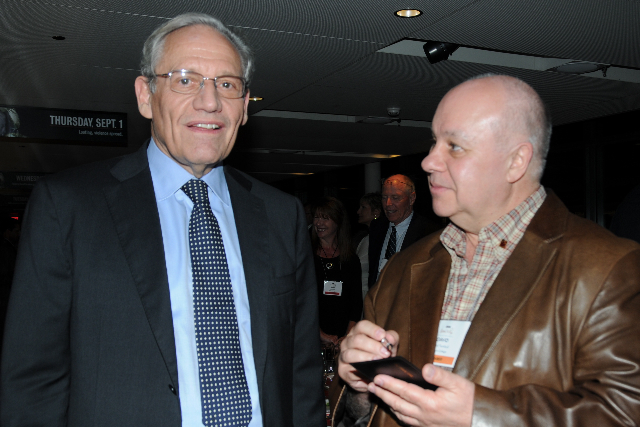 Geoff Foulds was the editor of the The Canadian Science Writers Association monthly Science Link communication. Geoff is a prolific writer whose thoughtful opinions on many subjects are well respected. (sample his writing) Today he is the CMO for infiniD in Toronto aiding startup companies. His particular expertise is in computer software and hardware for both small teams and global enterprises. Bud Riley hosted the weekly TV broadcasts of both the Empire Club and Canadian Club speeches from the Royal York Hotel in Downtown Toronto. Randy French was the camera man and on-site producer of the presentations. Randy started as a volunteer at Rogers before moving up to producer/director of mobile productions. Today he is a Technical Producer at Rogers Communications in Toronto. Bud did not wait to retire to take up art (oil painting and sculpture), he started painting at the age of nine with a Christmas present of a box of oils and brushes. Click here to see a few samples of his work since then.